First, let me briefly go over the three arguments she gave. 1) Tuition pays for classes, not for research – Undergraduates and Master’s students should have to pay tuition because the tuition pays for their classes they are taking to receive their degree. However, PhD students only take classes for about one or two years of their four year term. The latter two years are spent conducting research with faculty or on their own. Therefore, they shouldn’t be charged tuition when they reach candidacy – when they’ve completed required classwork and begin research. 2) It’s normal practice that PhD students not pay tuition – It’s more common to find that PhD students do not have to pay tuition when they go to school. The school usually pays them to attend and conduct research since all research is ultimately the property of the university and not the student. 3) PhD students are conducting professional level research that the University owns and I don’t make money on. – The student is conducting high level research that they would normally be being paid a great deal of money to do if they were working in a private sector job or at a public health lab. I should premise all these arguments with a little context that most people are probably aware. Higher education in the United States has been increasing in cost and tuition for students and public and private universities has increased, though most heavily felt at public universities. 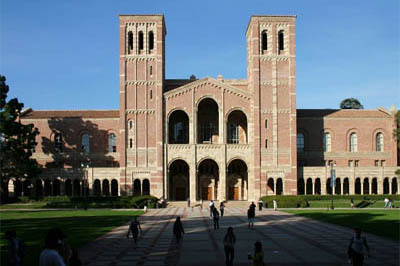 Tuition at the UC level in California has increased from about $4,000 in the year 2000 to about $12,000 in the year 2011. The reason is due to constantly decreasing support from the state government, who has slashed billions of dollars from the UC’s budget. (For a good read on the decline of CA public higher education, click here). Having said all this, you could begin to say that, even if we believed her arguments, we are no longer in a place where she can no longer get away without paying tuition for her PhD. But that would still be incorrect. Argument – Tuition is for classroom study, not research. Reality – Tuition pays for more than just classes. I found the belief that tuition pays for only classes – meaning being taught by a professor in a classroom setting – to be a common thought among both graduate students and undergraduates. But this simplifies what “classes” actually mean. Tuition does pay for those types of facilities, but it also helps pay for the professor’s salaries, facilities (including research facilities), equipment, operations, and financial aid. (UC Systemwide Tuition & Fees, UC Budget Basics) In essence, tuition (whether you think it’s high or not), pays for the basic operations of the university, which does include the class an undergraduate takes, but also the research equipment a PhD student is utilizing in the lab, a lab that tuition also helped pay for. Argument – Well, then I should be charged only a reduced tuition since I’m not using classes anymore. Most universities do this. Reality – A reduced tuition, just like the idea of no tuition, is really a full tuition that you simply don’t know you are paying for. The idea of a reduced tuition is better than no tuition in my mind, since you are contributing to the pool of funds that serves everyone on campus. But the reality is that reduced or no tuition is essentially an accounting trick. Schools that usually have no tuition for the last two years of a PhD program either have much higher tuition for the first two years, or receive funding from other sources to fill the same void that would normally be filled by your tuition payment. So while you are not necessarily paying for tuition in the sense you didn’t need to go and find a loan, that money is still being spent ON YOU through a grant by the government or university. In other words, all PhD programs need to be funded, it just depends on how and where they get their money. I also want to make a brief aside. This girl is getting her PhD in Public Health at UCLA. So if she gone to a private school for her PhD, her total tuition and fees for a four year program would hit about $101,000 at Harvard and $95,000 at John Hopkins compared to about $88,000 at UCLA ($134,000 for non-residents). The first two schools do what this girl would have preferred, which is to charge a tuition for the first two years of classes and either no tuition or a “reduced” tuition for the latter two years of research. As you can see, other than UCLA still being cheaper, the costs are still high and the money is still coming in from somewhere. Argument – I’m conducting professional level research and not being paid compared to if I were working in the private sector or for a public health lab. Reality – You do not have the required degree to be doing those jobs. This is why you are in school. Let’s ignore that this argument is hardly unique to PhD students since most grad students could be making more money had they stayed working. If this girl already had a PhD in Public Health, then yes. She could be making over $100,000 per year in a job. However, she doesn’t. And the reason why she doesn’t is because she doesn’t have a PhD yet. So this is a rather moot argument. If she had only a Masters or a Bachelor’s degree, her salary drops significantly to about $50k to $75k per year, depending on the job, but also has limit in growth opportunities. The ultimate point I’m trying to make here is that there is no logical reason why a PhD student should not be charged tuition. You can argue that the student should not have to front that money, but the idea that PhD research or “tradition” implies that they shouldn’t have to pay is simply not true. That money comes from somewhere and helps fund ALL students, not simply non-PhD students. You don’t get an education or your credentials for free and it’s rather arrogant and wrong to think you are entitled. This entry was posted on April 9, 2013 at 12:26 pm	and is filed under Politics, Uncategorized. Tagged: costs, PhD, tuition, UCLA, University of California. You can follow any responses to this entry through the RSS 2.0 feed. You can leave a response, or trackback from your own site. Really weak article for the most part. Even worse is that most PhD students (at least at my school) earn a STIPEND on top of tuition free! It’s ridiculous that as a master’s student, I’m shelling out all this money, yet the PhD students with the same experience are going for free and getting paid. Raise taxes and get free tuition! Everyone wins!